Paracord has been known for its versatility. It has limitless applications, uses and benefits. With that being said, there is no wonder as to why many people have been including it in their survival kit. While some people think that survival gear can only be purchased in stores, that’s not really the case. 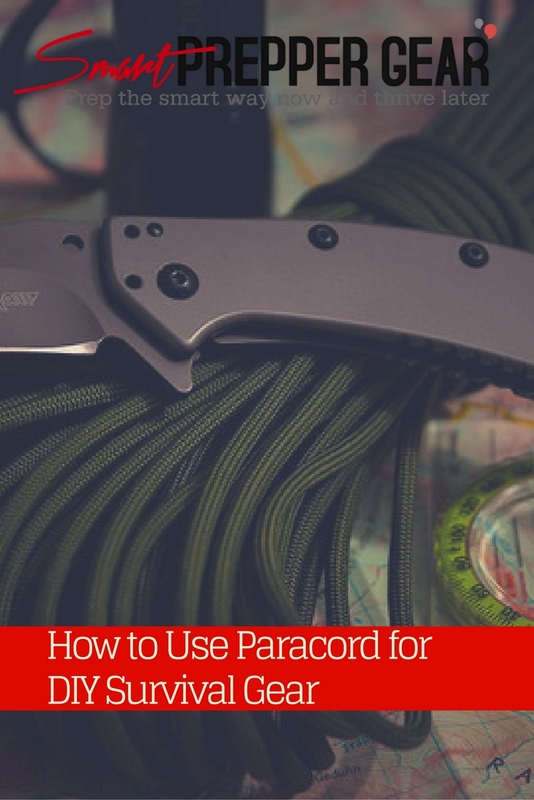 This is because it is possible to create DIY survival gear using the paracord and that is what this article is all about. It is sometimes inevitable for us to be stuck in a place where help seems to be unseen such as in the forest. What makes it worst is when it starts raining. However, if you have the paracord, you need not be drenched in the rain by using paracord to create a shelter using fallen wood or a poncho. All that you need to do is to collect branches and big leaves then tie them together with the paracord that you have. When you get lucky, you can find and use a tarpaulin as your roof. It could serve as your shelter that can also keep you dry until help arrives. Yes, you have heard it right. You can make a fishing rod as your DIY survival gear by using paracord. Of course, if you are stranded in the middle of nowhere, you should not let yourself starve to death. You need to eat food in order for you to gain the strength to get out in whatever you are currently in. If you could see the sea or other bodies of water where fish lives, then consider yourself lucky. You just need to look for a stick and something that you could use as a hook and bait. Use your paracord to connect the hook with the stick, which will serve as your fishing rod and would provide you with food to eat. If in case you are not fond of eating fish or no fish has bitten the hook and you wanted to eat something else, then you can also use the paracord to create a trap and hunt for food. In order to make this DIY survival gear, you just need to find the perfect spot for hunting. Tie one of the paracord’s end to a branch of a tree and make a noose at the other end. Through this, you would surely not suffer from hunger. Tourniquet is used in controlling arterial as well as venous circulation over a certain period of time. However, it is possible for you to create this DIY survival gear on your own. This is very important, especially if you do not have any medical supplies at hand. All you need to do is to cut a strand of the paracord and tie it in the area where blood is flowing. By doing so, it would be able to stop the blood flow and limit blood loss temporarily. If the laces of your shoes were broken, then the paracord would be a great for you, especially if you do not want to run or walk barefooted or only with your socks on. This is because you can use it as a replacement for your shoelaces. On the other hand, your clothes might have some holes in which you need to sew it. If in case you have a needle with you, then you can also use the paracord as a needle thread. When you are in stuck in the woods, it is sometimes inevitable to be lost while you are finding your way out of it. When you have paracord with you, you can use it as a trail marker, which is a great DIY survival gear item. You just need to cut it into short pieces and then tie it to trees, allowing you to be able to determine whether you have been there before or not. It would also allow you to find your way back to the starting point if the forest has become too confusing and unfamiliar to you. Just make sure that you have tied it on branches that you can easily see. 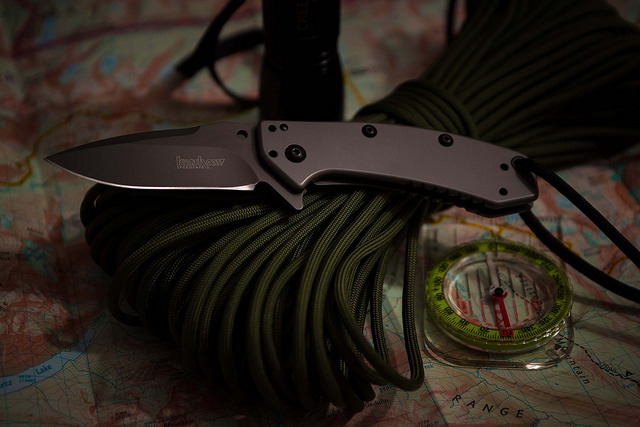 The DIY survival gear items listed above only shows how important it is to carry paracord. This is also because we wouldn’t know when an unfortunate situation may occur. Thus, there is a need for us to be always prepared for it. On the other hand, there are various paracord products or kits that you could purchase from the store. Some of them have built in small knives and even fishing hooks. Apart from that, it also comes in various styles. It may also be in the form of a bracelet, belt, lanyard, keychain and others. For example you can check out this nice survival paracord bracelet that I picked up on Amazon HERE. Most of all, they were created to allow you to survive any unfortunate situation that may occur to you. Although you can purchase the kit already from the stores, you can also consider doing it yourself. All you need is to have a paracord and then use your imagination in creating it. If in case you do not have any idea as to how to start with it, then you can also surf the internet and look for tutorials on how to do it. Nowadays, even online videos are available. This only shows that it is indeed very possible for you to make your DIY survival gear.